Mermaid Madness is here! 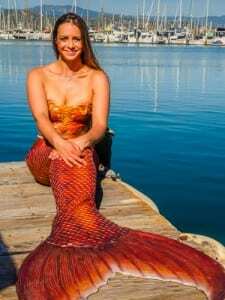 Check out all of the mer-mazing classes, specials, and mermaid themed activities happening at Ventura Harbor Village! All events happening all month long. Saturdays and Sundays from 12pm-5pm. Free kids activity table and color your own mermaid, shark, or pirate! Saturday’s from 11am-3pm: Free mermaid themed coloring pages at the Courtyard outside gallery. Every Wednesday at 6pm: Paint your very own mermaid wine glass at 805 bar and grilled cheese! Enjoy a glass of wine, a cheese plate, and a wine glass to paint. $25 with 24/hour advanced reservation. $30 at the door. Click here to make a reservation! An all ages comedy magic show on March 26th with Shawn McMaster from America’s Got Talent. March 24th 6pm-8pm: Paint Party class with December Store and more! $25 Game Play Monday-Thursday: Use the code Mermaid17 at theultimateescaperooms.com to book! For the entire month of March, purchase $50.00 and receive a free mermaid candle! Every Wednesday: 20% off entire store every Wednesday! Buy one graphic tee and receive one 1/2 off! Pick up a mermaid and ocean inspired gift or purchase a mermaid tail starting mid-march! Seaside Grilled Chicken: Delicious grilled chicken sandwich that mermaids and mermen die for! Enjoy a mermaid themed Happy Hour special from 1-4pm.